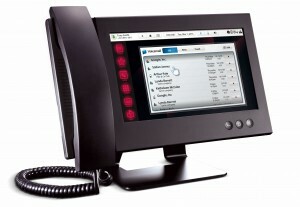 Originally developed by CloudTC in Silicon Valley, The Glass Phone redefines the deskphone. From the crystal clear hands-free function to the simple call-transfer and conferencing functions, the Vixtel Glass phone will change the way you use your phone. CloudTC was acquired by Vixtel in 2013. Obsolete-proof, it can be continually upgraded with new software and functions. With access to the plethora of Android apps, the unimaginable now becomes a reality. Glass Phone is the only smart IP phone that combines the usability and universality of the Android platform with superb design and rich enterprise telephony. The elegantly simple and smart user interface provides easy access to advanced telephony features and business-focused applications. From looking up a contact, to conference calling, to browsing in the applications store, with Glass it’s just one touch away. Glass offers superior audio quality. It utilizes wideband speech codecs, which sample audio at 16 KHz instead of the standard 8 KHz, thus doubling the bandwidth for communications and significantly elevating voice quality. It has never been easier to deploy an IP phone. From the initial set up and configuration to auto provisioning, Glass is designed to save your business time and money. With dual sensing switched Ethernet ports, your company can avoid additional wiring costs and leverage existing bandwidth to start taking greater advantage of your on premise or hosted VoIP services. The rapid growth of the Android OS and the Android Market-place has demonstrated the incredible value of users being able to download applications and configure their phone to suit their needs. And with Google behind Android, you can have the confidence that your investment will continue to get better over time.